« Silicone Cupcake Liners Review & Giveaway! Too much dessert going on around here. I'm gaining weight and I'm not the least bit happy about it! I just keep getting all these fun doodads to use in the kitchen and coming up with so many fun creative recipes and can't help but want to test them out. And here's the thing… it's abundantly clear to me that I'm feeling good when I'm churning out creations in the kitchen. So it's not all bad. I just have to use a little more discipline and utilize my Supreme Taste Testers more often (my awesome coworkers). For this batch, I used the Cuisipro Cupcake Corer (Amazon Affiliate Link) create a hole in the top of the cupcake. It works great!! My husband is the chocolate lover in our home and he loved these. Preheat oven to 350°F. Be sure oven is preheated to the correct temperature. If you don’t have the silicone baking cups, grease the cupcake tins well and dust with coconut flour [affiliate link]. If you do have the silicone baking cups, very lightly grease them with butter or coconut. In a large mixing bowl, combine eggs, banana, coconut oil [affiliate link], honey [affiliate link], cinnamon, vanilla [affiliate link] and baking soda. With an electric mixer, mix at low speed until all ingredients are fully incorporated. To measure the coconut flour, pack firmly into the cup measurement and use the back of a straight knife to level the flour even with the top edge of the measuring cup. To ensure there are no lumps, sift flour. Begin by adding half of the coconut flour into the ingredients. Blend until well mixed and allow to sit for 2 minutes. Add remaining coconut flour to achieve a thick batter. It’s better to add flour in small amounts until you find the correct texture than to compensate by adding more liquids and fats. Allow to sit for 2 minutes to allow the coconut flour to absorb liquids. The batter for this loaf will be somewhat thick, but still easy to mix with a spoon. Spoon batter immediately into cupcake tin. Place in a preheated oven. Bake 35 minutes. Cupcakes will feel firm to the touch when done. Add vanilla and mix well. Add the cocoa powder, mix well. 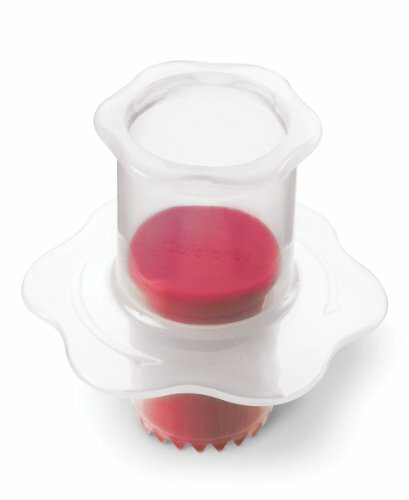 Once the cupcakes have completely cooled, use take a sharp knife and cut a circle in the middle of the cupcake (or use the Cuisipro Cupcake Corer [Amazon Affiliate Link]). Use the tip of the knife to dig out the center, leaving the bottom of the cupcake intact. Pipe frosting into the center of the cupcake, then decorate the top of the cupcake. The frosting will be enough for one dozen cupcakes. 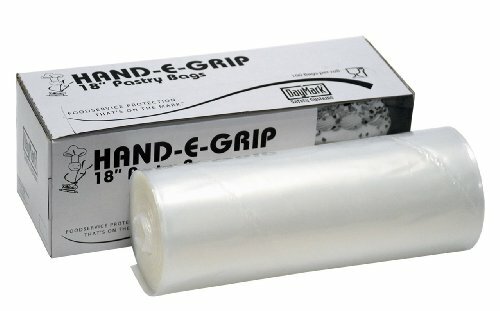 FYI, regarding the frosting, I recently invested in these disposable pastry bags (Amazon Affiliate Link) (I know, I know… disposable? But my “permanent” frosting bag is so hard to clean, seems to have mold in the crease where it's sewn together and I decided this box would last me practically forever so I went for it.). The really cool thing is you can just drop your tip into the bag and it fits totally snug. Much better than using a sandwich bag, which is what I was doing. I also used Ateco #828 Star Pastry Decorating Tip (Amazon Affiliate Link to pipe the frosting into the core of the cupcake, and then piped seven flowers on top, six around the edges and one in the center. Did you enter for your chance to win one of the sets of the silicone cupcake liners and a copy of my e-book Baking with Coconut Flour? In progress now until November 22nd, 2014. Did you miss the Pumpkin Spice Cupcakes with the Pumpkin Spice Buttercream Frosting? Categories: Cake, Dessert, GAPS Diet Recipes Tags: banana, dessert, eggs | 3 comments - be the next! Just made these, turned out geat. Loved The frosting!! Could they be frozen with the frosting? Thanks! Can’t wait to try other recipes of yours. Hey, I came back to this page to make it again and saw your reply. This time I made it as my daughters birthday cake. Topped it with strawberries. They loved it. Nothing left to freeze.. I really thank you.